List Rules Vote up the most satisfying haunted house films. Good haunted house movies manage to show the audience something new using a classic story structure. While many people think that all haunted house movies are horror films, they actually aren't. Just like how the best horror films ever made don't necessarily need a haunted house, movies about paranormal activities in a home don't need to be horror. That said, terror goes a long way in providing a thrilling sensation in a movie, which is why horror and haunted houses often go hand-in-hand. The best haunted house films are about the past and its effect on the present. As is the case with stories of real haunted houses, the movie characters must come to terms with a truth that they have been running from. After all, a haunted house is the physical manifestation of the dark corners of the mind, hiding ghosts behind doors people are too scared to open. This list represents the best haunted house movies ever made (remakes not included). Vote up the most spine-tingling movies about paranormal homes that not only capitalize on terror, but also use quality cinematography. Steven Spielberg creates a different kind of horror film with Poltergeist. The 1982 film follows a family as they move into a newly constructed suburban home. Strange things begin to happen and the family discovers they're being haunted not by a ghost, but by a poltergeist. Chairs are moving, cabinets are flying, and there's full-scale psychokinetic disturbances. The creepy clown doll and the mirror scene are as scary as hell, but still the film feels more like a blockbuster than a traditional horror. In fact, it's got Spielberg written all over it. The special effects are excellent, even by today's standards, and the acting is fantastic. The story follows the traditional haunting rules and yet remains unique. This film is a classic. Creepy and atmospheric, The Others relies on mood to instill fear in the audience. This haunted house film is about a mother and her two photosensitive children near the end of World War II. After new caretakers show up out of the blue, the children start reporting strange "other" people living in the house. While it starts out with the standard haunted house tropes, skepticism followed by terror, this film offers a plot twist that's far from what's expected. The washed out and foggy setting provides the perfect backdrop for this film. The Shining is one of the most frightening movies ever made. Stanley Kubrick takes a Steven King novel and makes it completely his own in a film of pure genius. Kubrick actually was actively terrorizing actress Shelley Duvall in between shots so that she would appear more unhinged and afraid. Jack Nicholson gives perhaps the best performance of his career. The story follows writer Jack Torrence as he takes a job as the caretaker for a hotel, along with his wife and son. The three are alone in the eerie hotel for the duration of a harsh winter. 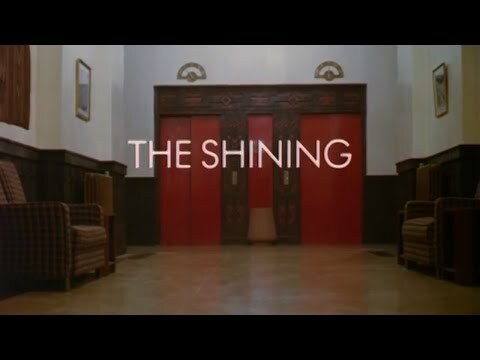 Choosing subtlety and atmosphere over gore, The Shining remains a masterpiece of horror. 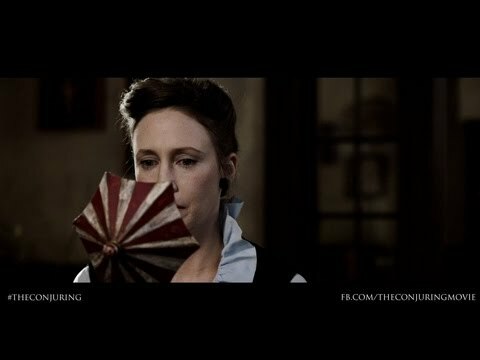 Loosely based on one of the investigations of Ed and Lorraine Warren, this 2013 film takes place in an old Rhode Island farmhouse in 1971. The family living there starts getting haunted by some kind of evil entity. They summon the Warrens, who must save the family from their horrific ordeal. Like most haunting films, this starts out slow and escalates. There are plenty of scares sprinkled throughout that are coupled with frightening imagery and an eerie atmosphere. While this film does not reinvent the wheel, the high production value, the true story aspect, and the competent execution make it well worth the watch.